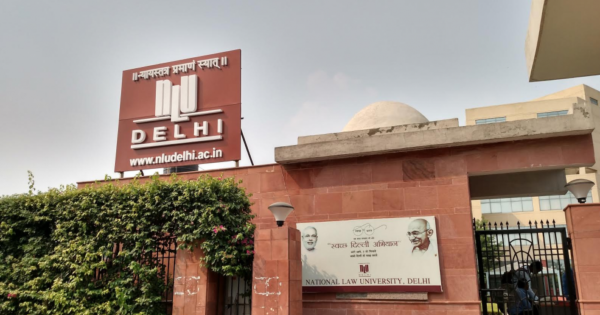 National Law University, Delhi (NLUD) is a law university in India, offering courses at the undergraduate and postgraduate levels. It is situated in Sector-14, Dwarka, New Delhi. NLUD is one of the national law schools in India built on the five-year law degree model proposed and implemented by the Bar Council of India. The statute provides for the Chief Justice of the High Court of Delhi to function as the University’s Chancellor whereas the Vice-Chancellor functions as the chief administrator. Admissions to the undergraduate (UG) B.A., LL.B. (Hons.) program are conducted through the All India Law Entrance Test (AILET), a test conducted every year by NLUD. NLUD does not utilize the Common Law Admission Test like other National Law Universities do. NLUD offers a five-year undergraduate (UG) B.A., LL.B. (Hons.) program. Seventy seats are offered and ten additional seats are allocated to foreign nationals. The undergraduate program is based on a credits system with additional seminar courses for further learning, pursuant according to the interests of the students. The program consists of approximately fifty subjects to be studied over the duration of ten semesters, with five subjects in each semester. Students are expected to submit fifty research projects before their graduation. NLU-D has several research centers, journals and keenly promotes competitive debating and moot court competitions. Moot teams from NLU-D have aced several International moots including winning the International Criminal Court Moot, Manfred Lachs International Space Law Moot, Oxford Monroe E. Price International Media Law Moot, Hong Kong Red Cross International Humanitarian Law Moot, etc. The University is one of the most accomplished debating institutions in the country, having won two of the most prestigious debating competitions in the subcontinent, the 66th St. Stephen’s College, Delhi’s Mukarji Memorial in 2014 and the NLS Debate twice, in 2014 and 2012, along with finishing runners up at the IIT Bombay National Debate. Notable victories include the gold at the 1st NALSAR Inter-Varsity Parliamentary Debate, the 4th IIT Guwahati Debate, the IIT Madras Debate 2009, the 6th NUJS Parliamentary Debate, the 7th N.V. Thadani Memorial Debate (Hindu College), Crossfire 2013 (Sri Ram College of Commerce), the 10th Premchand Memorial Debate (Hindu College), the 5th CNLU Parliamentary Debate, the R.V. International Debating Tournament 2013, 2010 (RVCE), the NLU Jodhpur Debate and the Q.E.D, BITS-Pilani. Participants from the University have also finished with the silver at the IIT Delhi Debate, IIT Roorkee Debate, St. Xavier’s College, Mumbai British Parliamentary Debate, 1st Indian National Debate Championship, XIth NLS Debate, NLIU Bhopal Debate, NLU Jodhpur Debate and the Punjab Engineering College Debate. You can visit the website of NLU-D HERE and know more about their Academic Programs, Performances and Recruitment.